How Important is Education For Your Children? Ever wonder where your local schools rank as far as Academic Standing by the California Department of Education? Every family values their children's education. Many Orange County high schools have leading performance indicators that give opportunity for your child's future. There is a strong correlation with high school academic performance and college graduation rates. Several Orange County schools led with outstanding academic performance by their students by harboring an environment aimed that helping students reach their full academic potential. I found a report where you can measure your current area's school rankings as far as academic performance indicators and other areas of California you may be thinking of moving to. How do your schools rank? 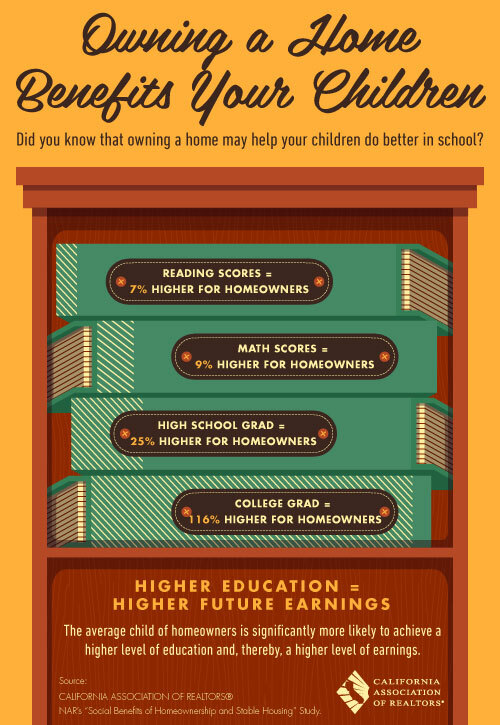 How Important is Home Ownership To Your Children's Education? To gather more information on neighborhoods with solid schools with high Academic Performance Index ratings or to schedule a showing within a particular community, please contact Justin Yee and make an appointment.